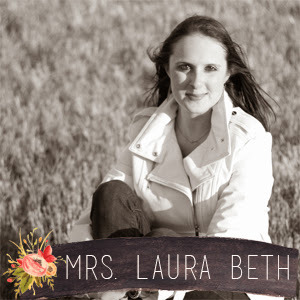 I love this coffee date linkup idea and I’m late for the submission but I still wanted to write to you and have a chat over a cup!! If we were having coffee I’d tell you … I am emotionally and physically drained. This whole moving thing has really taken it out of me. And while it is nice to be all moved into the Farm, the process is far from over because now comes organizing and the even more dreaded unpacking! If we were having coffee I’d tell you … I want Spring! Flowers, rain, mud, the smell of cow poop << Yep I’ll take it all. We are back below zero this week and I AM SICK OF IT!! If we were having coffee I’d tell you … My husband is amazing! He cleaned our whole apartment: scrubbing bathtub, toilet, fridge … yep the whole 9 yards and I am so thankful he did that because it really wasn’t on the top of my To Do list! If we were having coffee I’d tell you … I am feeling very anti-social this week and it is only Tuesday. Not sure what it is but I don’t feel like having small chat with people and have just been irritable over little things. I am just going to blame it on the weather for now! If we were having coffee I’d tell you … this is not a good idea. To be having caffeine after 12pm!! If we were having coffee I’d tell you … to have a wonderful Tuesday – to smile – to do something for someone else! What would you tell me over coffee?? It's definitely the weather! I 110% understand why animals hibernate now. All I am is irritable and want to sleep. Give us vitamin D! You must be exhausted - that's so busy to be cleaning 2 places, packing, unpacking... and on top of it, this weather is probably the least motivating thing right now. Ugh! Is it lake season yet?! I would be exhausted too! Moving is never fun! I am so looking forward to warm weather, it always motivates me to move more too. Hang in there. 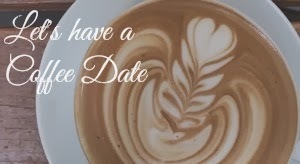 Love this coffee date idea! I'm so over winter and I can't wait to get our of hibernation mode. Unpacking is the worst - I have moved 8 times in the past 9 years and each time I unpack a little bit slower and a little bit less each time. EXHAUSTING! Ya it is -30 with windchill right now…This is just ridiculous!! :-( Today is a hibernation day for sure!! Ohhh I NEED lake season!! Wine - Blates & Boat Rides … NOW! Yes right now it is -30 with windchill but thank goodness we are all moved and I can organize inside! Thanks!